IPEX HomeRite Products is a leading supplier of pipe and fittings to home improvement retailers for plumbing, irrigation, electrical, and HVAC applications. 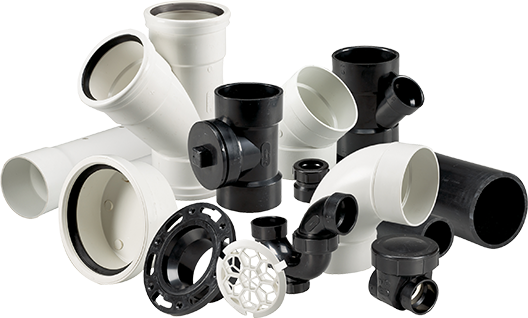 Plumbing encompasses a wide range of pipe and fitting systems including ABS Drain-Waste-Vent, PVC Sewer and Drainage, and PVC and polyethylene for water supply and irrigation. Use PVC electrical systems to bring power safely outside to homes, gardens, garages or sheds, ensure weatherproof hookups for A/C units or provide a simple and code-approved wiring solutions for ICF construction. 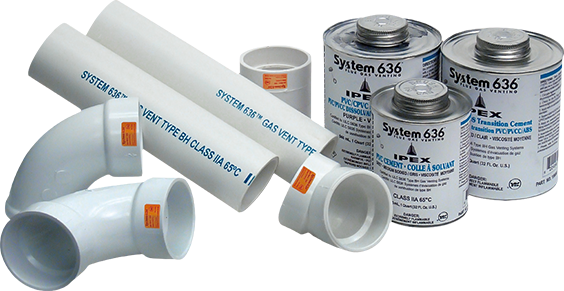 System 636 is the market leader in code-approved PVC vent pipe and fittings for condensing gas appliances. Xirtec 140 PVC pipe and fittings are used in condensate drainage for gas-fired appliances and A/C installations. A convenient place to get started on popular DIY projects using ABS and PVC pipe and fittings. You'll be amazed at what you can do with readily available plastic pipe and fittings! Please Note: Some products may not be available in your province.